Kinnaird Bagpipes is pleased to announce Piper’s Pal Alert Reed Protector! 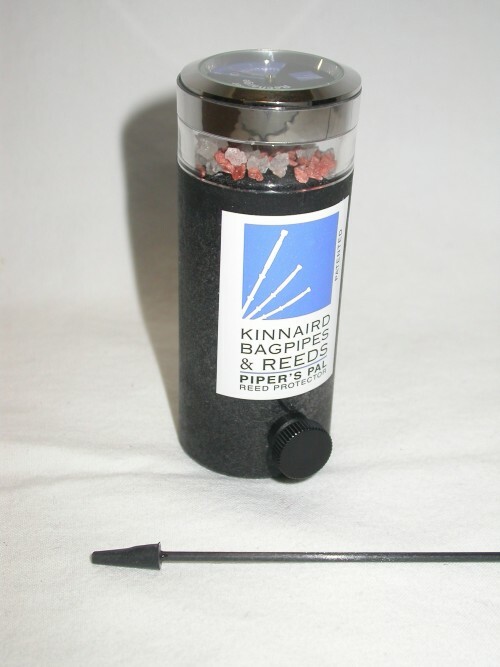 Over 15 years ago, Kinnaird Bagpipes patented the design of the world’s first humidity control system for the storage of cane bagpipe reeds. This invention revolutionized how pipers store and maintain their cane reeds. Tens of thousands of reed protectors have been sold over this time, and are used by pipers and bands at all levels. 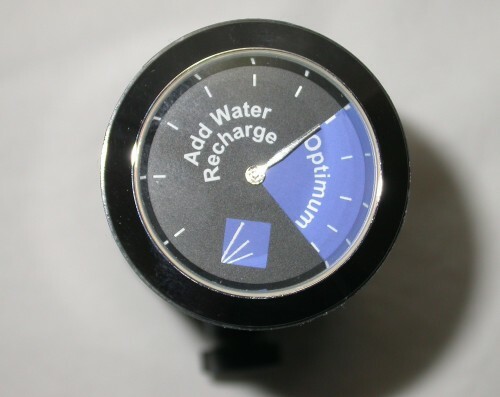 The Piper’s Pal Alert is an update to the original reed protector design that incorporates an indicator on top of the reed protector to visually show when it is operating at optimum conditions, and when it needs to be recharged. All the great features of the original design are still there – the patented humidity and mold control system that keeps cane at optimum humidity, the patented sealing rod that extends time between recharge, the foam sealing gasket to eliminate humidity loss at the chanter, and a heavy duty thumb screw. What is new is the indicator on top that alerts the piper when the reed protector needs to be recharged. No more guessing if your reed is protected. The Piper’s Pal Alert will let you know! Recharging of the humidity control system is the same as the original. Just remove the top cap and add water. No expensive humidity control packs to purchase as they dry out.